Tickets on pre-sale Wednesday with special bundles, on general sale Friday. Who’s excited? Share share share! NEWS: Don Broco in Europe! BIG BIG BIG NEWS! Don Broco are going to EUROPE! Unfortunately, the Xcerts have had to pull out of the European dates of Young Guns tour – so Broco will be replacing them! If you want to get to a show, act NOW. All links and info can be found here. If you’re at Birmingham, Leeds, London or Southampton – see you there! NEWS: DON BROCO at READING & LEEDS FESTIVALS 2012! Ladies and gentlemen, I could not be prouder to say that our boys Don Broco will be making a well-deserved return to Reading and Leeds festivals playing the Festival Republic stage! 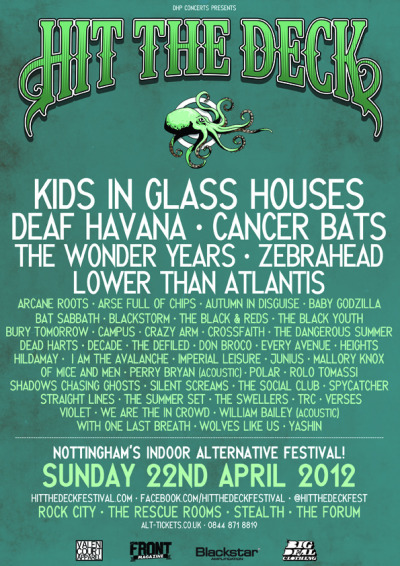 They join their friends in Young Guns, Lower Than Atlantis and many many more on one of the strongest line ups the festival has seen in recent years. If you haven’t got a ticket, get yours now – your summer is now well and truly complete. To see the full announcement, click here, or to see the new, updated line up, click here for Reading or here for Leeds. NEWS: Don Broco to play free acoustic London show this Thursday! Don Broco have been announced on the line up for the ‘Station Sessions‘ at St Pancras International Station this Thursday (14th June) between 6 and 6.30pm. The acoustic set is free to watch, and to find out more details you can visit the Station Sessions website. Why not ‘Join’ our Facebook event for the show? In an official blog, Futures have announced that their April tour is to be rescheduled to July, with Don Broco and Natives still supporting. You can see the new dates on the poster below. Tickets remain valid for the new dates (ie you don’t need to buy new ones), and you can get face value refunds from your ticket vendor if you cannot make the new dates. Some very exciting news to report today – Don Broco have been selected to support Brit Award winners One Direction on their arena tour in 2013. The ‘Don Direction‘ tour will take in venues throughout the country, and with most venues sold out, this is an amazing opportunity for the band to play to new fans. Don Broco will be making a return to Brighton on Thursday 10th May 2012, as they appear at the 2012 Great Escape festival. 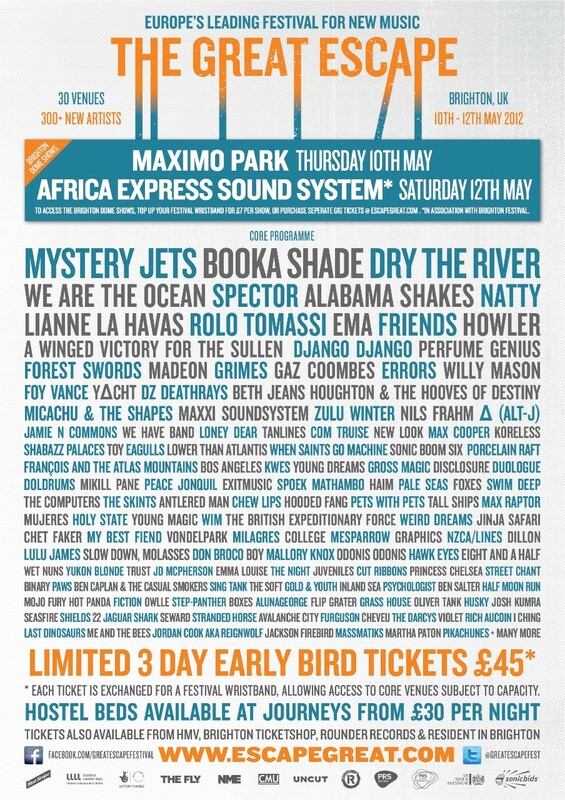 The band will be playing alongside old buddies Lower than Atlantis and Max Raptor on the Rock Sound stage (Concorde 2). Tickets are on sale now at varying prices. £8.50 tickets for this gig will be on sale soon. Check www.escapegreat.com for more details!